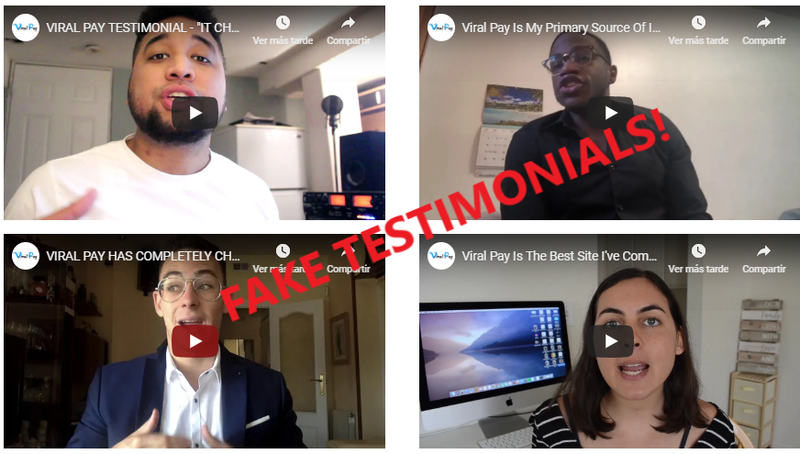 ViralPay.co SCAM review - Viral Pay does NOT PAY! 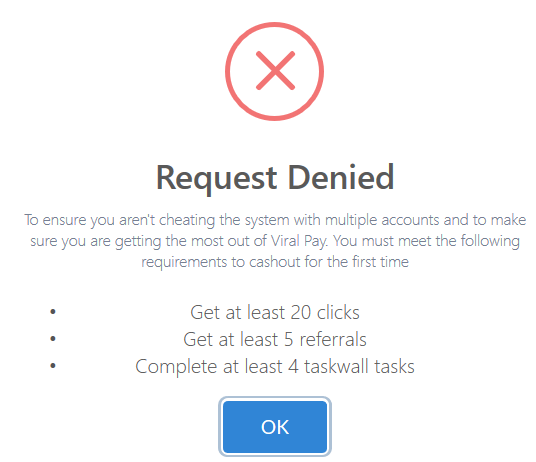 Home > Avoid scams > ViralPay.co SCAM review – Viral Pay does NOT PAY! Will ViralPay.co scam you and leave you frustrated? Or is this a legit website to make easy money? If that’s what you are wondering, I’m glad that you have stumbled upon my Viral Pay review because here I reveal the complete truth. First of all, let me congratulate you for taking the time to do your own research before getting involved in another money-making website. There are millions of scams out there, so doing your due diligence is the way to avoid the fraudulent sites and find the way to make a substantial income online. When it comes to viralpay.co, it’s very similar to other sites I’ve reviewed so I know how it really works and I’m going to prove why it’s not as amazing as advertised. 2 What is ViralPay.co about? 3 How does ViralPay.co really work? 3.5 What do the owners of ViralPay.co want from you? ViralPay.co is a website that claims you can make money by referring other people to their website. For every person you invite, you can allegedly get paid $10-$15. Not only that, they also say that you can get paid for trying new free products. Sounds cool? I mean, the viralpay.co site is new and I don’t know any influencer who’s using this platform. I haven’t heard any famous person talk about it, I basically came across this platform because I saw some Twitter users share their referral links. Honestly, the website looks professional and it doesn’t seem a scam, but I’ve noticed some red flags that make me skeptical. For example, they claim you can make $500 today, which is very unrealistic and it’s the kind of claim you can find in get-rich-quick scams. I’ve reviewed hundreds of websites and I can say that I’ve never found a legitimate money-making opportunity claim that you can earn money the same day you get started. Most websites (not to say all) that promise easy or fast money end up being scams. ViralPay.co sounds awesome because you can supposedly get $25 after signing up and it’s free to join. So is this the ultimate platform that will enable everyone make money online for free? I mean, anyone with an Internet connection can join Viral Pay and anyone can share links, so the barrier of entry is sooo low. It doesn’t matter your experience, your age or the country you are from, if you have basica computer skills you can do this. In my opinion, it sounds too good to be true because making $10 per referral is quite high, especially when we take into consideration that they don’t ask anyone to make a payment. So, if siging up is free, where’s the money coming from? How can they afford to pay $10 to each person who joins? How does ViralPay.co really work? Viral Pay basically works in a way that makes money to the people who have created the platform. It was not created for members to earn money, that’s the ugly truth. Once you are inside, you will see your referral link to copy and paste it on social networks like Twitter and Facebook. You can also share it via Whatsapp, private messages, blogs, forums… You can copy and paste it wherever you want. Apart from that, they also claim you can make money by uploading a promotional video to YouTube and by completing simple tasks. For the YouTube video, you are supposed to earn $50 and for each task, $30. They force you to get at least 5 referrals, get at least 20 clicks and complete 4 tasks before they allow you to cash out. Therefore, you cannot get paid the initial $25 if you don’t take action. That’s why it’s not that easy to make money with this site. If you do some math, you can reach the conclusion that the minimum payout threshold is $235 ($40 for clicks, $50 for referrals, $120 for tasks, $25 signup bonus), which is quite high in my opinion. I personally will not sharing my referral link and will not take the time to promote ViralPay.co because it’s not a genuine site. You see, many of the people (not to say all of them) who are promoting this site are doing it to get paid, but I’m sure none of them has received their payment. So this is about telling other people they can make easy cash just to profit yourself, which is something I wouldn’t be comfortable doing. I believe that the reason they want you to do all this before you can request the payment is that the more work you do, the more they get paid! How do I know this? Well, I’ve found some red flags that prove viralpay.co is not as wonderful as advertised. The payment proofs section is full of video testimonials and earnings screenshots, but the problem is that they are not real. These testimonials are not real members and they haven’t even joined ViralPay.co. I know it because I have seen them in some scammy sales videos. They are Fiverr actors who are making money by saying what the con artists behind viralpay.co wanted them to say. 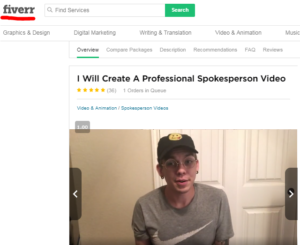 Hiring these actors is no big deal for the scammers because they’re not expensive (about $5 for each video testimonial). 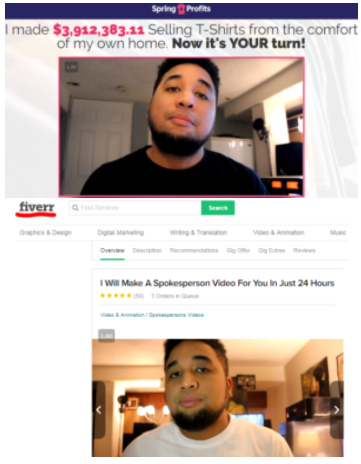 If ViralPay.co really worked, don’t you think the owners wouldn’t have had to hire these Fiverr actors? Why aren’t they using real members as testimonials? Could it be that real members haven’t got paid? Another red flag is the fact that they lie about the amount of time they have been around. They claim Viral Pay has been founded in 2015, but this is a complete lie and I have an undeniable proof. 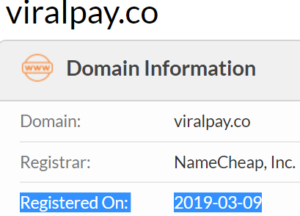 According to whois.com, the registration date for the viralpay.co domain name is March 9th 2019, so it’s only been a month and a few days since Viral Pay was created! Why do they lie about this? Well, they want you to believe that they’ve been around for some years to gain credibility. The longer a company has been around, the more likely it’s legitimate. Who has created ViralPay.co? There’s no information about it. The people behind this platform are hiding for a reason, and that reason is that this platform does not work like they claim. First of all, if it really worked, they wouldn’t have had to use fake testimonials to gain credibility, and they wouldn’t even be lying about how long they’ve been around. Second of all, if it really worked, don’t you think they would be enough proud and confident to prove they are real people? From my experience, I can say that websites whose owners don’t show up are usually low-quality products or scams. Scam artists like to remain anonymous because that’s the way they can avoid facing the consequences of ripping people off. ViralPay.co is just another name for a scam that has been around for months and even years. You see, the con artists behind these scams change their names to mislead potential victims. They know that there are negative reviews about them online, so they change the names of the scams to prevent people from finding the truth. What do the owners of ViralPay.co want from you? You are probably wondering how they try to scam you if it’s free to join, am I right? I know that when something is free doesn’t seem it could be a scam, but the truth is that scammers have other ways to benefit themselves apart from asking you for money upfront. You see, they are asking you to spend time on promoting them and completing tasks. If you promote them, they will get more and more people who will do the same as you. These people will join for free with the hope that they will make money, but they’ll just waste their time. They collect email addresses and other personal information, which is why they make it easy for you to register. They want your information and then they will sell it for profit. Therefore, you can expect to receive spam emails about this platform or other frauds. Not only that, the tasks they tell you to complete are also dangerous because they force you to visit websites that could not be secure. These websites also ask you for your information, so you’ll be basically giving away your personal info for nothing because they will not pay you. In my opinion, ViralPay.co is a scam because they don’t live up to their promises. It’s the same as other platforms I have exposed in the past. Those platforms are no longer being promoted because too many people have realized they were scams. And when it comes to ViralPay.co, it’s only a matter of time that they change its name. Real members are already reporting it so I wouldn’t expect it to last because more and more people will report not getting paid. So, their goal is to make you waste your time just to make money themselves, which is unacceptable and very cruel to the people who get involved with this site. Like I said, they make money by selling your personal data, and they also profit when you complete the boring & dangerous tasks. Once they have got that money, they will block you or remove you from your viralpay.co account, and that’s when you’ll have realized you have got scammed. Well, now that you are reading this review, you can prevent it. After everything I have seen, I’ve decided not to get involved in this platform, but your final decision is up to you. Final verdict: I do not recommend ViralPay.co. I remember that when I was getting started, I found lots of money-making websites that promised easy and quick money. Some of them were like viralpay.co, so there was a time that I thought there had to be some kind of secret system that made it possible to make money fast. However, when I realized all those sites were scams, I got disappointed but I decided not to waste more energy on them. That’s when I started looking for other alternatives. I’m grateful that I found a business model that has given me a way to make passive income every single day. This business model has nothing to do with MLMs, pyramid schemes, investing or anything illegal. It’s a business model that allows you to make money from other people’s products or services. There are sooo many products and services that you can earn money from, so you will not have to promote the same as everyone else. In fact, you don’t even have to sell anything. This is basically about talking and writing about a topic you are passionate about, so you’ll definitely not get bored! To be honest, it took me time and effort to reach this point. And I know it’s going to take me more work to reach the next level. Anything worth achieving in life takes work, so never believe someone who says that you can do it without doing much work. If it were that easy, most people would be doing this and many would have already quitted their 9 to 5 jobs. Additionally, you will also find how you can get free access to training lessons that will help you get your business started the proper way. In other terms, if you read my guide you will find how you can start today for free! That’s right, you can check it all out and decide if this business is right for you risk-free! Will you be next? Can’t wait to see you inside! I hope this ViralPay.co review has been helpful to you and you will make the best possible decision. Great review, Miren. I think this is the same scam with a different name that keeps popping up. They have the same anonymous owners based out of the U.K. using the same Terms of Service. There are so many scams where the owners hide behind anonymity. It has gotten to the point that if a site does not show an owner or administrator, I consider it a scam. I recommend avoiding all anonymous sites to be safe. Yes, many sites that have anonymous owners tend to be scams, so it’s best to avoid them unless there are real positive testimonies that prove it’s not a scam. You know I actually considered Viral Pay. On the surface it looks like a legit way to make a little extra money. I have been scammed before so I decided I better look for a few reviews just to make sure that it would be worth my while. Thank you so much for putting this review together! I am glad I found this post and now I know that this is definitely something I will not be doing. After reading this review, yes I can see that it is most definitely a scam! Hello Miren! I just finished reading your review of Viral Pay and thought I would just drop you a quick comment to say thanks! I have been looking for a legit way to make a decent online income for some time now and have found lots of scams. I tried something like Viral Pay last year and I experienced exactly the same as many of the reports I see for this system. They get you to work hard, promoting their scam and referring other people to it before locking you out of the website with nothing to show for your money. Total waste of time and effort, not to mention the embarrassment if you refer friends or family. 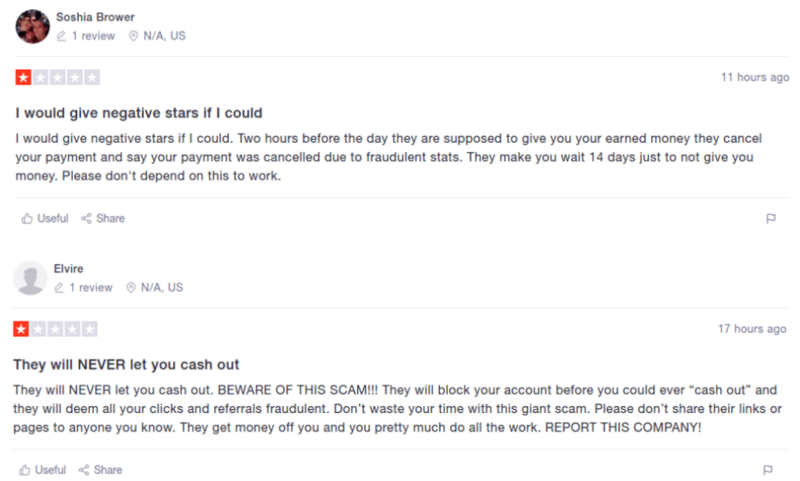 Yeah, unfortunately there are lots of scams like this… It’s very unethical that they waste people’s time to make money themselves, so I hope that more people do their own diligence and find the truth. Thanks for offering your thoughts! Is Paid-Surveys.tv a scam? Yes! 5 UGLY TRUTHS revealed!